It feels like years, not weeks, since I’ve participated in Lisa-Jo Baker’s Five Minute Friday, but here I am. Seriously, it’s a gathering of some of the best writers on the web that you’ve never heard of. Want to play along? Find the information you need here. And now, let’s go! It feels like I’ve been holding my breath. LIke I wasn’t even aware I was holding it until I let it out. I’ve been saving up all the worries and dire predictions of doom and gloom, all the private agonies of what might be, holding onto them like lungsful of stale air, and I only just let them go. Like my concerns about the moving company we chose. Like my desperate desire that my children find friends in our new town. And that I do! My worries that the kids would react badly, and I mean really temper-tantrum-throwing badly, to the move and I wouldn’t know what to do or say. And then there are all the smaller ones, like where will I put everything? 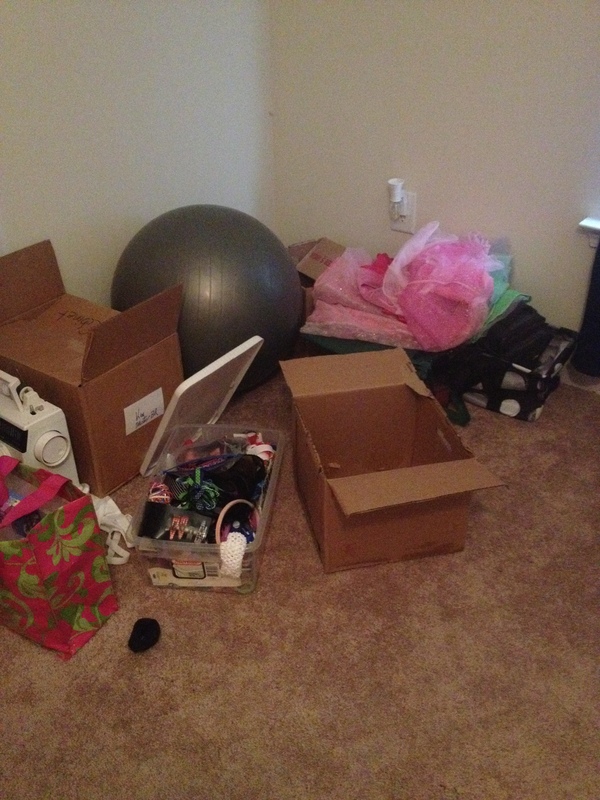 And how can I find time to unpack boxes when I’m trying to wrangle kids and get to appointments? But oh, the sweet release when I just let that breath out. And strangely, I find that when I’m not holding in all the “old air”, I have space to breathe in something fresh and new. Excitement for a new adventure and exploring our new area. And best of all, the confidence of relying on a God who has it ALL in His hands. He’s got this. This move was His idea, and He has all the details under control. No need to hold my breath waiting and worrying. God’s got it. It’s (almost) Friday again, and that means it’s time to meet up with the most awesome, brave writers on the planet to write freely for five minutes. No overthinking or overediting, just the flow of words onto the page/screen. Come and play with us! Find all the details here. Isn’t it funny how so many things can be used for good or for evil? She never thought too much about that though. She was way too busy raising her children to sit and think deep thoughts for very long. Busy trying to make a house into a home, and keep the family fed, and the clothes clean, and everyone’s teeth brushed. There were a lot of “gotta-do’s” hammering down on her head and thrumming through her veins. And sometimes those children could seem more like stumbling blocks than blessings. And she’d catch herself getting frustrated, and sometimes that frustration would build up and build up until she found herself seeing red, and she’d use her hand to smack one of those children on the bottom. Unless she missed, in which case it might be a thigh. Later she might feel remorse for losing her temper and causing her children pain, but in the heat of the moment all she felt was release. Shameful, but true. But the day came when she reached for a child in love, to give a hug, and that child flinched away from her. Flinched. And she looked at her hands – the hands that had dried that child’s tears, changed its diapers, and soothed the fevers – and she saw that they were now something to be feared. She wondered at the confusion this must have caused her children, never knowing if the touch of her hands held love or pain, and if they (and she) could be trusted. So she resolved to find a better way, and with God’s help, she did. It took some time and a lot of prayer (and Mommy time-outs), but her children eventually learned that her hands could be trusted to guide them gently but firmly, instead of always inflicting pain. She also learned not to be ruled by her to-do list, but that’s a story for another day…. Lying in wait in the corner of my bedroom. It seems like this move has taken for.ev.er. This is how we planned it, though, because we believed it would be best for our girls to have as much time as possible to adjust to the idea AND so they could finish the school year here. And, as is typical for me, I’ve lollygagged most of the time cushion away and now that we’re into the single digits (!!) away from moving, I start to feel the urgency catching up to me. I’m not sure what possessed us to plan the move so that the final onslaught of packing and preparation happened during the first week of summer vacation for our girls, but here we are. Why in the world did I think that I could manage packing AND the neverending waves of “I’m bored” simultaneously? So for the past couple of weeks we’ve been packing boxes in hyperdrive and decluttering left and right. Apparently we had a lot of stuff because despite all the packing and decluttering, it still seems like nothing is missing from the house. And let’s not even talk about all the food that had to be thrown out because it had been buried in the back of the freezer. Makes me ill just thinking about the waste. But it seems that more than just the urgency to get things done has caught up to me. The inevitable grief that comes from leaving behind what is known and comfortable is creeping in, too, running right alongside the anticipation of a new adventure while the two jockey for position. Our girls are at tender ages for such a move, we know. The younger one had a meltdown a couple of months ago but seems to have accepted what’s coming. The older one is struggling a bit more. She was nearly in tears before she even got to school on the last day. Since then (a whopping five days ago) she seems to be walking around in a mood of waiting for the ax to fall. Not exactly a barrel of monkeys, but not weeping and gnashing of teeth either. I can deal with this, I believe. I find myself counting the “lasts” though. Last time I’ll wake up in my bed in this house on a Tuesday. Last trip to our SC pediatrician. Last trip to the local orthodontist. Last service with our church. Last time at our vet’s office. Last visit to Zaxby’s and Krystal, neither of which exist up there. Last blog post from SC. There’s sadness, sure. We’ve made a lot of memories here. But there’s also anticipation. First trip to our new local library. Finding our way to the girls’ new schools. Meeting new friends at the neighborhood pool. Making our new house into a real home, one that fits our family and reflects our collective personality. Discovering new favorite restaurants and coffee houses. Visiting the Farmers’ Market. Enjoying our newly acquired proximity to the beach. The comfort of having the whole family under the same roof all the time. The past seven months of divided family life have been a challenge for all of us. It seems like the girls and I would get adjusted to our way of doing things, and then Dad would come home for the weekend and things would change for a couple of days. He missed a lot of their activities,especially the school things that tended to happen during the week. He did his best to keep up via phone calls and Facetime, but it still wasn’t the same. I was overwhelmed because I was working and being a single parent all week, and he was lonely and missing his family. The irony does not escape me, as I am usually the one who is desperate for “alone time” – the very thing he detests, and he thrives on the togetherness that sometimes wears me out. Our marriage relationship has suffered some too, but we married each other for better or for worse and if this is as “worse” as it gets, we can survive it. In a way it will be fun to get to know each other again after these months of time apart. So we continue moving forward (and Northward) this week, stumbling as we go, but still making slow progress. Because we believe that God is behind this move and if He is for us, nothing can stand in our way. And if He’s in it, that must mean that He has a plan for us in Virginia, and that will be the most exciting discovery of all.